We provide surgical treatment for the excision and reconstruction of vertebral tumors and complex cervical trauma, depending on the type and severity of the condition. Our doctors are specially trained in treating all cervical spine conditions with care and precision. Spinal problems such as herniated discs, bone spurs, degenerative disc disease, pinched nerves, spinal cord injury, and spinal deformities can cause debilitating pain, restricted mobility, and loss of function. Many of these conditions can be treated by nonsurgical methods, which include but are not limited to the following: exercises to relieve pressure on spinal nerves; physical therapy; medications to reduce pain and inflammation; and epidural injections. In some patients, however, spinal surgery may be indicated these methods fail to provide relief of pain. Today, a new generation of state-of-the-art minimally invasive surgery procedures offers new options for treating a variety of back problems. The board certified physicians at New Jersey Spinal Specialists perform both traditional and advanced minimally invasive back surgery on all areas of the spine. The orthopedic surgeons at New Jersey Spine Specialists perform surgery for the entire spectrum of spinal conditions, whether due to spinal cord injury, degenerative changes associated with aging, or deformity. Our cervical spine (neck) procedures include anterior cervical discectomy and fusion (ACDF), cervical disc replacement (total disc arthroplasty), laminectomies, laminoplasty, and cervical spinal fusion for instability. For the lumbar (lower back) region, procedures include: lumbar laminectomy, lumbar microdiscectomy, lumbar spine fusion surgery including the XLIF procedure, kyphoplasty and, vertebroplasty, and X-Stop implantation. Thoracic, or mid back procedures more typically include surgical treatment for vertebral fractures with or without spinal cord injury, and surgery for thoracic vertebral tumors, kyphoplasty, and scoliosis surgery. Some minimally invasive spinal surgery procedures for appropriate patients could effectively treat conditions such as spinal stenosis, sciatica, spondylolisthesis, and spinal fractures. 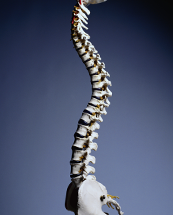 Looking for the best spine surgeons near you? Our locations in Montclair and Summit make us convenient to Livingston, Westfield, Glen Ridge, and all communities throughout northern New Jersey and the New York tri-state region. 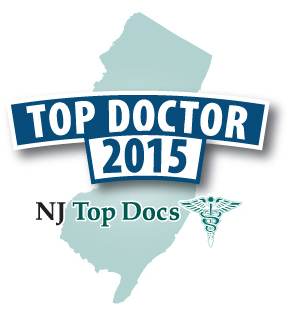 Yet, because our nationally recognized surgeons offer advanced procedures like cervical total disc replacement, patients from across the country and around the world have often chosen the New Jersey Spine Specialists for their treatment. To learn more about what advanced spinal treatments are available to you please call or email New Jersey Spine Specialists to schedule a consultation with one of our top spine surgeons.